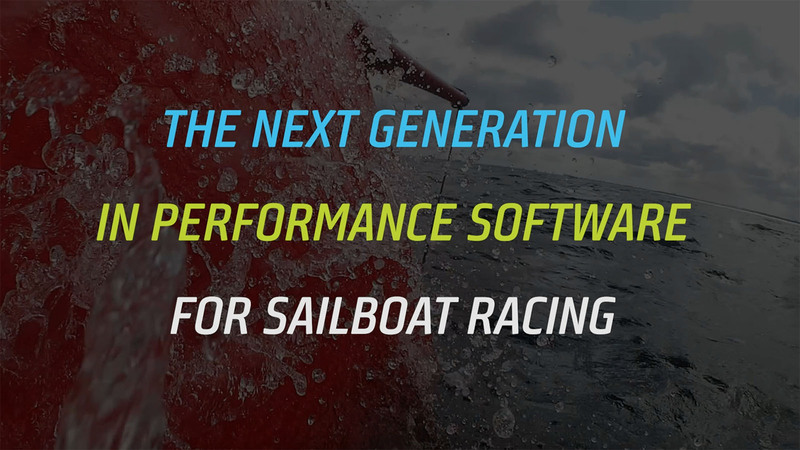 The Tactiqs® Performance System was designed by a team of sail boat racers from the US and Europe as the ultimate comprehensive boat performance system. It will substantially improve your understanding of the conditions and the race course, and help you make better decisions and win more races. Post-race analysis tools give you the details on your performance and let you review your races by numbers as well as track individual sail usage and cross-overs to make optimum use of your inventory. The system was built from the ground up with simplicity of use in mind - the smarts are hidden behind an intuitive user interface. The system utilizes your boat's sensor data via a wireless NMEA interface connected to the Tactiqs® application, allowing the crew to use any number of iOS devices as customizable displays for 42 different performance metrics. For smaller boats without instruments the system uses the iOS devices' built-in sensors and basic wind input controls combined with smart tracking algorithms. Additional wearables in the form of the Tactiqs® augmented-reality glasses and smart watches (Android WearOS 2.1+) make the perfect fit for all boat sizes and crew positions. During the pre-start period the system continuously calculates distance and direction to the starting line. Based on your boat's VPP we determine how many seconds you are from the line, and how much time you have to burn for a perfect start. The 3D bird's eye view lets you see yourself in the box and know exactly where you are in relation to the starting line. The system also continuously updates the starting line bias so you always know the preferred side. The wind graph shows you oscillating and persistent patters and helps you decide which side of the course to go first. Once in the race, master the course and the windshifts by knowing exacty where you are and whether you are on the favored tack. The 3D bird's eye view shows you the next mark and its laylines so you can focus on your competitors instead of running numbers in your head. A separate course overview shows you the complete picture including wind angles for all legs, so you can plan your sail choice well ahead of the next rounding. The post-race analysis tools provide you two key data sets - how well you did around the course, i.e. your tactical decisions, and how fast you were sailing. The course view shows you your track color-coded with your speed or VMG performance, with your actual versus optimum wind angles, and wether you were lifted or headed. Summary metrics for port and starboard tacks up- and downwind give you quantitative feedback on your windward / leeward performance. The live polar data shows you your speed performance across the race, and a heatmap based on the sail points you spent most of your time on. The system enables you to track individual sail usage during the race so you can further analyze the sail-specific polars. This allows you to find the best sail for a specific wind speed & angle, and fine-tune the cross-overs in your inventory. The tactiqs.io website lets you quickly set up your boat, the corresponding VPP data, and your sail inventory to enable sail tracking and live polar data by sail type. Tactiqs® provides a database of popular VPPs, so chances are your boat is ready to go. Separately, you can always fine-tune your boat's VPP data. While our master VPP data base is available to all users, your personalized VPP data is only visible to you. Race data such as regattas, course definitions, and course marks are easily set up and shareable via the tactiqs.io portal and our map-based mark wizard. For windward-leeward racing the iOS app provides a course configurator that lets you create ad-hoc courses based on number of legs and direction & distance to the weather mark. On race day the app provides you a live course overview with wind angles for each leg to plan your sail choices. "Tactiqs® is a must-have for any skipper who demands the best from their boat. Having speed, wind, and performance data at your eyelids gives a remarkable edge in decision-making when on the race course." "I have been using Tactiqs® now for over 6 months and have been very impressed with its overall performance. What sets this aside from the others is its ability to focus purely on your boat, tweeking the VPPs, analysing your race and tracking boat performance by sail inventory. I have used the Raptor glasses with the heads up display, and although initially I had to get used to the info right in front of your sight, I now find them very easy to use knowing the info is there when I focus on it. To finish off, this app with the addition of the glasses is for the serious racer. Give it a go, you won’t be disappointed." "Tactiqs® has been a great addition to the Beneteau Oceanis 55. The flexibility and vast volume of data available to display is a strong value add to the entire crew that is now able to stay in connection with the performance of the boat over multiple days of racing. Specifically, the performance reference to the boat's polars provides a never ending competition amongst the crew to perform better than the last shift or driver. This addition to the existing 5 B&G Zeus chart plotters has really been valuable to increase performance and fun on the boat. Thank you for a great product and support!" The Tactiqs® system supports any number of iOS devices (both iPad and iPhone) as display units. The first device you connect to your boat's NMEA data over Wifi will organize all subsequent devices, including any number of AR glasses and Android WearOS watches. You can install the iOS app as an NMEA data repeater for free to check out whether your boat network provides NMEA data over Wifi. For data that relates to your boat's performance or requires VPP information you need to set up your boat's configuration record, which is part of your account on the Tactiqs.io web site. New users will be enrolled into a 45-day free trial account, so you can try out the system before you commit to anything. To get started please follow the Tactiqs Quickstart Guide. Your subscription is accessible in your tactiqs.io account settings. To purchase a pair of AR glasses, or if you have any questions on how to access NMEA data via Wifi or need help adding a Wifi access point to your existing wired system, please contact us at info@marineventures.io. The Tactiqs® system was designed and built by us to bring the next level of technology into our sport. Our team consists of sailing professionals and racing enthusiasts with high-tech backgrounds, and we believe that racers should not have to choose between very basic instruments and feature-rich, but complicated professional level solutions.